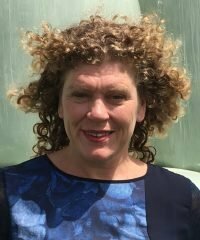 In 2009 neighbouring Waikato dairy farmers, Fran Allcock and Joyce Brown, decided to organise a series of conferences for smaller herd farmers. They realised that the needs of smaller herd farmers are different from large herd farmers and that there was an opportunity to develop events specifically for them. They started by gathering an enthusiastic group of volunteer farmers to form an organising committee and then enlisted the support of DairyNZ. The formation of the SMASH Trust and some highly successful conferences were the result. The feedback from those first conferences was overwhelmingly positive and since then the team has gone from strength to strength. 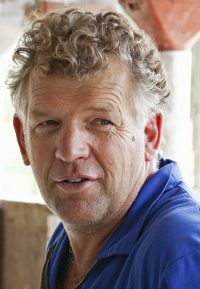 Hi I’m Noldy, current Chair of SMASH, your farming organisation run for farmers and by farmers. I have been involved with SMASH since we started several years back, and still enjoy seeing SMASH connecting with and encouraging farmers through our various events. My wife Bev and I own a 200 cow farm in Te Pahu near the slopes of Mount Pirongia. We employ a contract milker to run the farm as I work off farm as a real estate agent for Ray White. We have three daughters, all of whom have now left home. The eldest is married to Petrus and they have a bubbly 2 year old daughter who loves spending time with Poppa and can’t believe how young he looks and acts. She is a great source of delight to both her Nana and myself, especially in small to medium doses! Hayley our middle daughter works at Vetora, our local vet club, as part of the management team and loves her job. Her farm upbringing has certainly been of value in her job and she now appreciates all the “training” she got on the farm. And our youngest, Carmen, is a teacher in town and enjoys her job, especially when they’re marching! We all look forward to the pay increase that this government will eventually give her as then she may be able to pay her student loan back to us! Last, but not least, our foster son Hayze is now 14 and loves rugby, mountain biking and X box, almost in that order. English and math aren’t quite as up there as the aforementioned topics! He loves to have strong interactions with his Deans at college. Dairy farming has always been my life and it’s a real buzz to be involved in all sorts of ways. The SMASH concept has been hugely successful in bringing people together to network, share and learn. I have been farming for 15 years since leaving school and have worked as far away as Invercargill and on herds as big as 3000 cows. In the past 5 years my partner Liz and I have settled in with smaller herds and are enjoying the challenges that come along with that. We are currently taking the big step into our first contract milking position on a 400 cow farm at Ngutunui, 20 minutes from Te Awamutu. I got involved with the SMASH committee after attending a few field days and the Waikato conference. I wanted to get involved to give something back to the farming industry, while using the opportunity to develop my organisation and planning skills and networking with like-minded farmers and industry leaders. I think SMASH plays a key role in the industry in bringing topics and events relevant to the smaller herd farmer. I was brought up on a Canterbury sheep/beef/cropping farm (now a dairy conversion!) before attending Massey University to gain a degree in agricultural science and an MBA. After starting my career in Massey’s Vet Department, helping to carry out large animal research, I worked for eight years at AgResearch in the farm software development team, before I branched out into contracting. 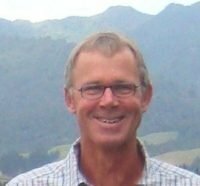 In this role I have worked for a variety of organisations including: DairyNZ, Ballance Agri-Nutrients and Fonterra, and have been involved in a wide range of activities, anything that combines agriculture, science, and communicating complicated ideas in a simple way! Some of the most enjoyable work I do is for SMASH: helping farmers to achieve their goals and build rewarding dairy careers. Anna farms 240 cows on 72 hectares in between Te Aroha, Morrinsville and Matamata (or specifically Ngarua) with partner Paul and daughter Greta. Anna came to dairy farming relatively late in her career after working in finance and marketing both in NZ and overseas – although it was always in her long-term plan to return to dairy farming (it just took a while to persuade her London-born partner that it was in his long term plan also!). 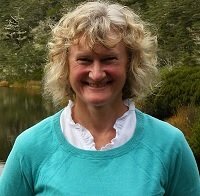 Anna joined the SMASH committee, after hosting a field day at her farm in 2016 following making the final of Dairy Business of the Year in 2015 and 2016, as she was impressed with the SMASH ethos and the committee culture. Anna has recently completed her Masters in Agribusiness through Melbourne University and she undertakes regular market research and facilitation projects on behalf of a couple of agribusiness clients. Her hobbies include playing contract bridge (she is also on the Waikato Bays regional bridge committee) and she plays social netball for as long as the body holds up. Ele Duncan is the third generation on a 58ha farm on the outskirts of Cambridge. Ele joined the SMASH committee after attending SMASH events and wanted to put something back into the smaller herd community. She’s passionate about the benefits of smaller farms and believes SMASH is a great forum for smaller herd farmers to come together to learn new things, share ideas and remind themselves and the wider industry of the importance and benefits of smaller herds. “SMASH have some great events on offer throughout the year. It can be hard to find the time to attend events but it’s well worth the effort.” Ele is looking forward to seeing you at SMASH events and encourages you to spread the word about SMASH amongst the smaller herd community. Together, with my wife Cathy, we farm a 57 ha milking platform (plus 30 ha runoff) milking 165 cows this coming season. I call myself a life style farmer as I believe that farmers have got too carried away chasing production and forgetting about the basics of farming. We are dropping our stocking rate each year to find the correct level that looks after both the cows and our bank balance. I also believe that we should enjoy our life and not let the farm rule it. I find it hard to implement this but I am trying. As a member of the SMASH committee I’m enjoying the challenges and meeting people involved in smaller herds. I don’t think that you need to be big to be successful. My wife Josephine and I are self-contained traditional dairy farmers milking 200 cows. We believe smaller herds are an important part of the industry, as a career choice or stepping stone to other things. 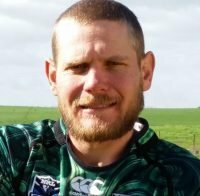 I became involved with SMASH as I believe it is an important that smaller herd farmers have the opportunity to communicate with like-minded people. Gavin Hogarth, Jodie Hansen, Bec Hindson, Brian Hughes.